Today, June 3rd, the Paris-based body has also adjusted its timetable for the start of monetary tightening by the Bank of Canada to early-2016 from mid-2015. Potential Canadian pluses include a recovery in oil demand and prices and higher than anticipated growth in the United States and other important export markets. Royal Bank of Canada is more upbeat in a forecast also released today. The bank predicts a much better second half for the Canadian economy, with growth reaching 1.8 percent this year and 2.6 percent in 2016. RBC acknowledges that investment will be weak for the rest of the year, as energy companies slash capital spending by about 30 percent. But the bank expects other sectors to pick up part of the slack, thanks to low financing costs and stronger demand. 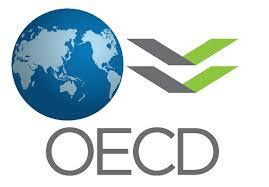 But the OECD worries that investment everywhere will remain below the level of previous recoveries, partly because of weak consumer demand, continuing uncertainty about fiscal policies and a lack of structural reforms in several key economies. “Despite tailwinds and policy actions, real investment has been tepid and productivity growth disappointing,” the OECD report says. “By and large, firms have been unwilling to spend on plant, equipment, technology and services as vigorously as they have done in previous cyclical recoveries. Thanks David for updating about ground realities more explicitly on this important issue .